Volatile weather is always around the corner in Kansas City. Last year, September and October produced above-average rainfall for the Metro area. While a welcome summer blessing, rainwater can cause serious drainage problems. Take a look at these Seven Solutions to Common Drainage Problems and enjoy your lawnscape without getting your socks wet. Solution 1: Pipe the Water Elsewhere. If existing gutters are gushing water into a low-absorption area of your lawn, the solution may be as simple as adjusting your exterior pipelines. Align your gutters so as to channel the water to a slope or other permeable path. Solution 2: Prepare the Soil. Drive a spade into your soil and have a look. If roots abound and the ground is compacted or rich in clay content, you may have a waterproof barrier on your hands. To aerate this puddle-producing compound, mix gypsum and limestone into the top six inches of the soil. Or for a more natural approach, try a mix of compost, dead leaves, wood chips, and tree bark. Solution 3: Plant a Rain Garden. For a natural, enjoyable solution, select plants which thrive in soggy soil, and give those water-loving bushes and flowers a happy home. Just choose a low-lying area in need of some beauty, and plant away. Several plants of this type, such as red osier dogwood and wild bergamot, can thrive in the Midwest. Solution 4: Pump or Pave. An asphalt or concrete driveway or patio will only push that persistent rainwater back into your lawn. Installing a sump and pumping the water to a safer area is one efficient solution. If your hard surface needs some sprucing up, start with a bed of sand and cover with stones or pavers, enabling the water to be absorbed through the entire surface rather than running to one side. Solution 5: Plane the Land. 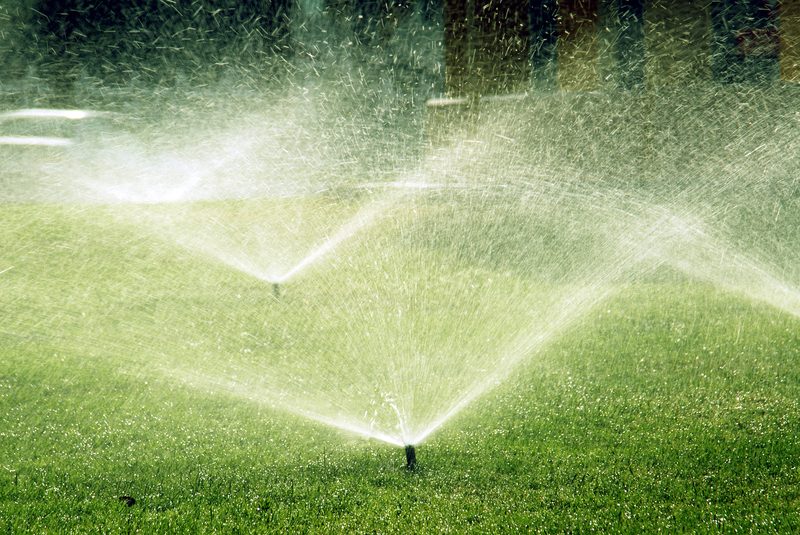 The rise and fall of your lawn should direct the water away from your house to a suitable location. Build up a mound of land (berm) which causes the water to run around and away from water-proof zones. Or shovel out a subtle trench (swale) which traps the water and sends it to a more permeable place. To slope your lawn properly, aim for a grade of about 2%. Sloping and terracing slow down the rainwater and give it time to absorb as it flows. Solution 6: Prompt Immediate Action. Need that excess water to disappear? Dig a dry well filled with stones. Rainwater will vanish quickly then absorb slowly into a lower level of the soil. Installing a French drain is another great option. A well-installed French drain will immediately absorb all that water that falls from your roof and carry it to a place where it can settle into the soil safely. Solution 7: Purify as You Go. By The Blade’s Ambassadors often recommend natural creek beds for redirecting water. 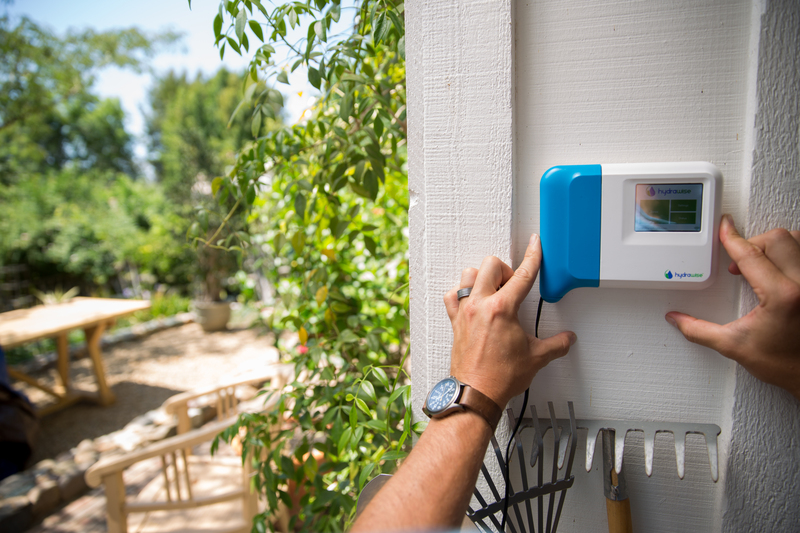 These innovative watercourses slow down, channel, and filter the water naturally, enhancing your Outdoor Living experience. Another excellent option is rain harvesting, in which runoff is collected and re-employed in a water feature such as a fountain, so that the moisture can be returned cleanly to nature by evaporation. Getting Help. Rather not hassle with the intricacies of drainage? 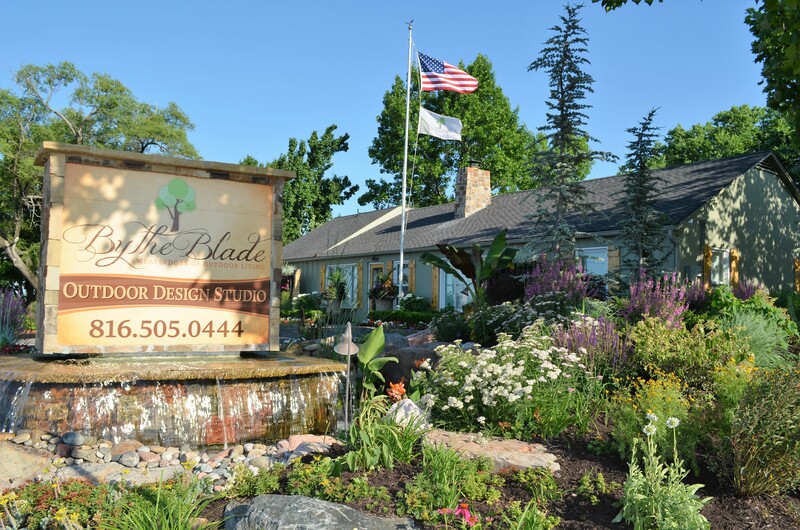 By The Blade’s expert Ambassadors of Outdoor Living can take over the process for you. Consider our Total Exterior Maintenance package to leave this and other complex problems to the experts.